The Top 4 Seine River Night Cruises – The Night Time Is The Right Time! Paris is lovely during the day, but at night it takes on even more of a magical quality. 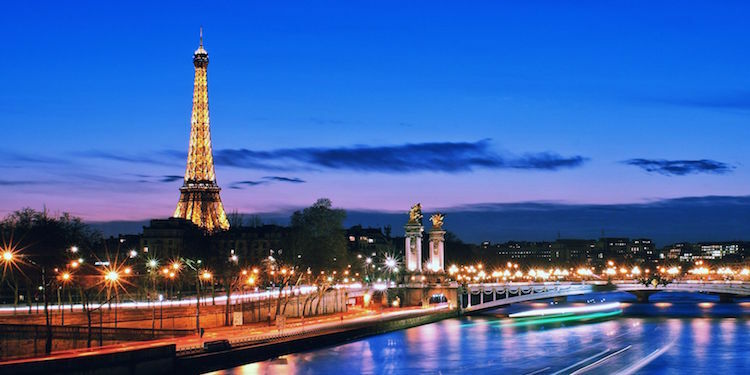 Nighttime cruises take you on a trip along the famous Seine River when all the lights of the City of Light are glowing. As you know by now, we're partial to combining a night cruise with dinner or champagne to create a perfect evening in Paris. 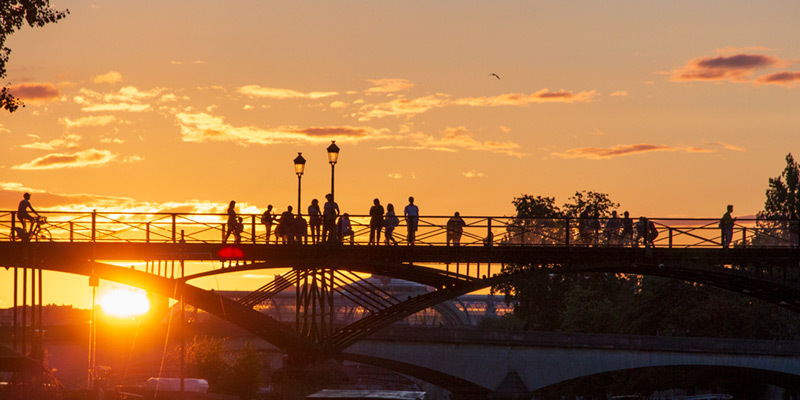 Here are our picks of Seine River tours at night that do just that — create a perfect evening. As evening falls, step on board Bateaux Parisiens, the most highly-rated river cruise company, for a nighttime extravaganza. 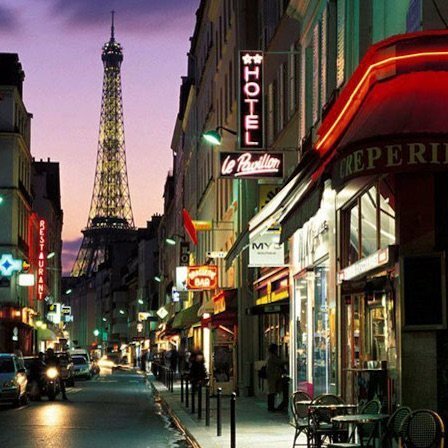 As the buildings and monument glide past, all aglow, you are served a classic French meal while listening to live music. This is as relaxing, two-and-a-half-hour, slow cruise along the world's most beautiful river route. The view and the slow pace of the boat are nothing short of magical. There's nothing for you to do but to take in this beautiful city as the sun sets and the buildings light up. (The photo above was taken during this dinner cruise.) You cruise from the Eiffel Tower upstream past everything Parisian. Past the Paris isands the boat turns around at the modernistic, monolith that is the Bibliothèque Nationale. Then you cruise past everything else in Paris, including the Eiffel Tower, and turn around again at the Statue of Liberty, arriving back at the dock just in time for the Tower's 11 PM light show. Be certain to book the VIP cruise with the Premier menu that gets you a table at the front of the boat, better service, even better air conditioning, and includes hotel pick-up and return. Of course there are glasses of champagne at the beginning and the end of the dinner. In this well-liked combination nighttime activity you meet up with your expert guide at the base of the Eiffel Tower just as dusk is settling. Stroll with her down to the riverbank where it's time to hop aboard the Bateaux Mouches (the name of the sightseeing boats) for a sunset cruise. In an exclusive lounge at the front of the boat sip champagne as you glide past the most famous monuments of the City of Monuments, admiring them in the evening light. When you disembark your guide leads you to the Eiffel Tower, where you have skip-the-line access for a tour and access to the second level viewing platform. Marvel in the lights of Paris spread out before you. When you're in Paris a cruise along its famous river is pretty much mandatory. 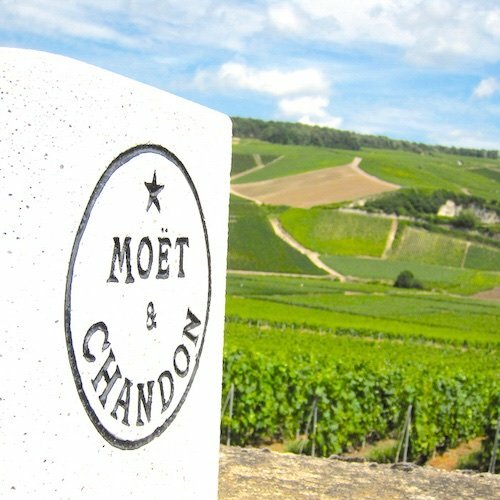 And why not mix it with champagne while viewing all the famous monuments lit up at night? 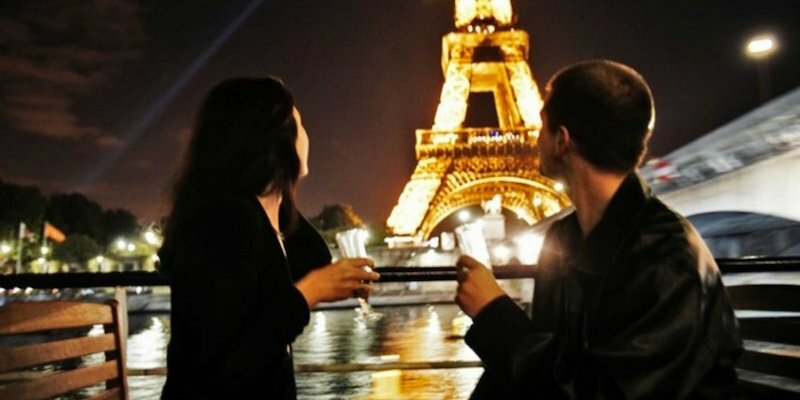 This cruise activity doesn't include access to the Eiffel Tower (like the activity above), but it is the better champagne experience, with a guided tasting of three champagnes — Brut, Demi-sec and Rosé — presented by an expert sommelier. This very popular evening out in Paris combines dinner on the Eiffel Tower (actually on the tower) with a nighttime cruise along the Seine River. 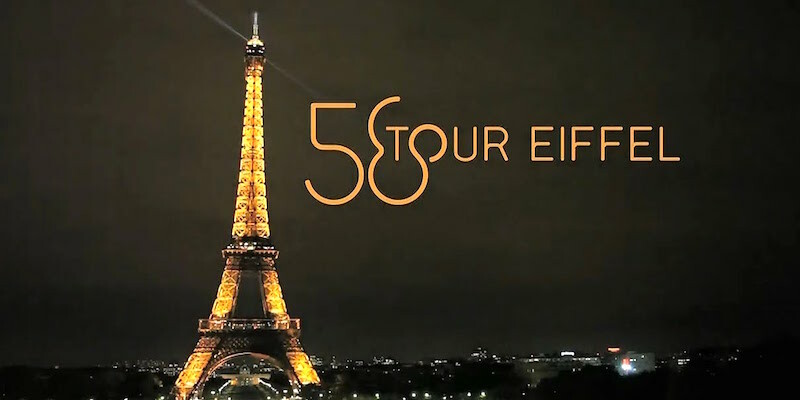 You get priority access to the Eiffel tower (avoiding the long lines) to go directly the elevator to restaurant 58 Tour Eiffel, two hundred feet above the city and its famous lights. After dinner, it's a short stroll to the Seine to board your bateau for a nighttime cruise through the historic heart of Paris.